Steven Gerrard freely admits he will be taking Rangers’ faltering title hopes into the last chance saloon when he walks through the front doors of Celtic Park tomorrow. But while he knows a defeat, which would leave his team 13 points behind their Old Firm rivals, would prompt fresh and intense scrutiny of his performance as Rangers manager, Gerrard insists he has dragged the Ibrox club closer to the champions regardless of how big the gap between them is at the top of the table. Since Rangers returned to the top flight in 2016, they have finished 39 and then 12 points behind Celtic. 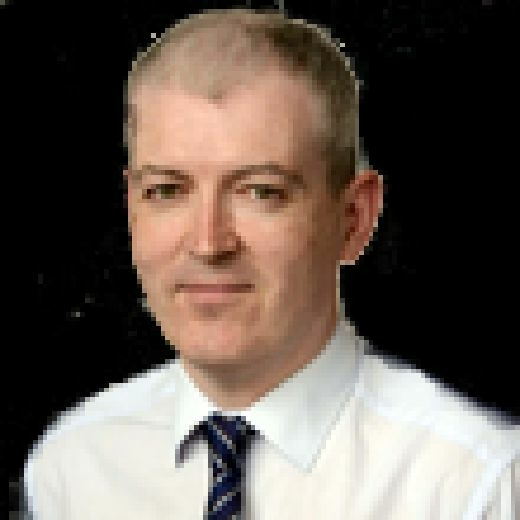 In the binary world occupied by so many in Scottish football, failure to further reduce that deficit this season will be used as a basic measuring tool of whether Gerrard has improved the squad he inherited last summer. The former Liverpool and England captain prefers a more nuanced form of analysis from which he made a persuasive argument for the strides forward he strongly believes Rangers have taken under his guidance. “If you are the type of person who sits behind a computer and puts comments on a forum, you are probably saying ‘It’s nowhere near good enough, they haven’t closed the gap, it’s a disaster, it’s the same problems, blah, blah, blah’. “But if you know football, if you are educated and you analyse it properly, I think you will be aware there has been progress made. “Would we like to be closer in terms of the points? Of course. But people talk about closing the gap to Celtic. Obviously, the gap is ten points. That’s the reality and there isn’t an argument. “But we analyse ourselves and where we are. We are not where we are because of us v Celtic this season. We are where we are because we have hurt ourselves and drawn games where we should be good enough to take maximum points – ie three draws against Hibs, one away at Dundee, not turning up against St Johnstone. That’s where we have fallen short. “It’s a completely different question than have we closed the gap on Celtic. We have closed the gap on Celtic because they’ve taken three points and we’ve taken three points in the two games between us so far. I think you’d all agree the contests are a lot closer than they were 12 months ago. “But the reality is it’s ten points. So if you’re a keyboard man, you probably say we haven’t closed the gap. “But I analyse it properly and I believe we’re closer, I believe we’re better, I believe we’re moving forward. “The reality is that we have put a nice, strong base in here. 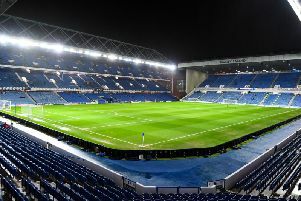 Further down the line, we’re going to have to try to decorate the cake and that means adding to what’s already here, improving in certain areas of the pitch so that we are better in the games against Hibernian, better in the games against St Johnstone, so we have more quality in certain areas, more people who can unlock the door. Rangers’ failure to build any momentum after their 1-0 win over Celtic at Ibrox in December, which briefly drew them level on points with the champions, means anything less than victory today would effectively end their already slim prospects of dethroning the champions. “Yes, it’s our last chance,” agreed Gerrard. “Going 13 points behind would be a big blow for us and a lot of criticism would be flying around. That’s certainly what we don’t want to experience. A draw is not really helpful either and it’s not the result we are going there for. “We are going there to win the game but it is a big ask. It is a good team and a good manager in Neil Lennon. They have got the opportunity to put right what was wrong for them at Ibrox. They will be fired up for it themselves. Gerrard is demanding a more positive approach from his team than the one which contributed to their 1-0 defeat in his first Old Firm clash at Celtic Park last September. “We have regrets from that first one,” he said. “It came at a tough time for us on the back of a very emotional night in Ufa when we qualified for the Europa League group stage. We then had to travel and play an early fixture on the Sunday at Celtic Park against a team that had won the last six trophies. “It was a tough ask for our team with a lot of new players not really knowing what to expect and we went in with a bit of fear. We went in with too much respect. We stood off them, certainly for the first 45 minutes. “Obviously our preparation going into the second derby was a lot different. We wanted to put right what had gone wrong in the first. There was more aggression in their faces, more confidence and belief that we could go toe to toe. We got our rewards with a fantastic performance that everyone knows should have been more than 1-0. It wasn’t, but the performance was high level and we will have to match that level of performance on Sunday.